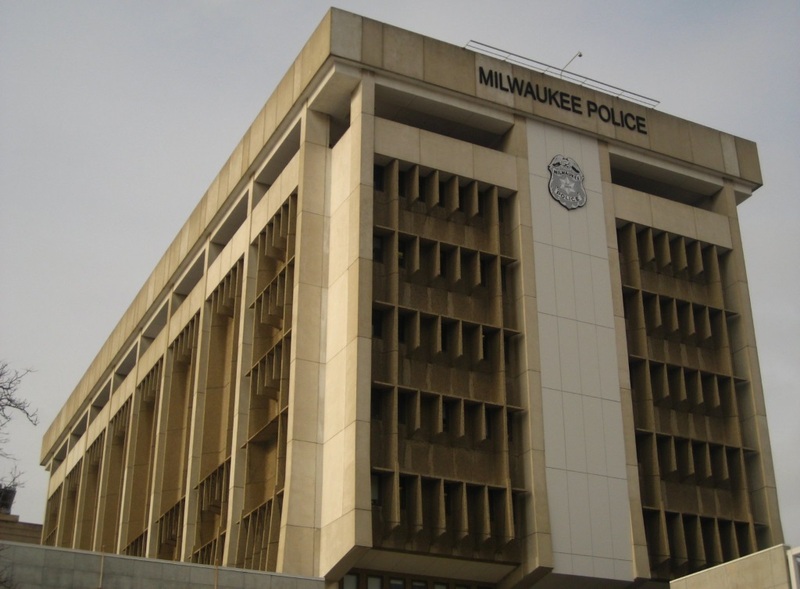 Changes due to suit alleging Milwaukee Police stop-and-frisk policy used racial profiling. Police Administration Building, 951 N. James Lovell St. Photo by Christopher Hillard. “We are proud of where our progress is,” said Milwaukee Police Department chief of staff Nick DeSiato of the department’s compliance with a complex settlement regarding the city’s police practices. The suit, brought forth by the American Civil Liberties Union, alleged that Milwaukee police, under the direction of former chief Edward A. Flynn, engaged in a policy of “stop and frisks of Black and Latino people that involve racial and ethnic profiling, or are otherwise motivated by race and ethnicity, rather than reasonable suspicion of criminal conduct” that violated the 14th amendment of the US Consitution. The city did not admit guilt as part of the $3.4 million settlement, but did agree to change police policies. DeSiato and Inspector Terrence Gordon presented an update on the department’s progress to the Common Council’s Public Safety & Health Committee. The council approved a settlement agreement in July 2018. Gordon said the department has submitted all of the standard operating procedures required as part of the settlement to the Fire & Police Commission which oversees the department. But ACLU Wisconsin attorney Karyn Rotker said one such change, related to the handling of civilian complaints, is still within the department. DeSiato admitted the department has not forwarded that change to the FPC for final approval, but said the administration has submitted it to the union for approval. “In general, we do appreciate the work the department has put into it,” said Rotker. But a major milestone is scheduled to occur on April 15th. For the first time, the department will give a comprehensive data report of its actions to the settlement external review team at the Crime and Justice Institute. “We expect that to go well,” said Gordon. Six pages of the 49-page settlement detail specific procedures and system changes the police department must adopt, including linking all the department’s databases together so that information about a traffic stop can be queried as a single record with a substantial amount of data about the person stopped. In addition, requirements are in place that body camera footage be tied directly to the linked database records. The settlement spells out the need for new user interfaces to accommodate the linked records as well as the development of a system to reject incomplete records and email officers on any records they need to finish. According to statements from various Common Council members in 2018, sloppy record keeping was one of the central elements that led to the settlement. Gordon said the department is working with other police departments, including Minneapolis (voluntary compliance) and Philadelphia (consent decree) that have instituted similar changes. “We’re not reinventing the wheel,” said Gordon. Gordon said the department has engaged every officer in an in-service training program that is scheduled to be completed by June. In an interview after the testimony, Gordon said that the department would have instituted many of these changes anyway under new chief Alfonso Morales. He said Morales has taken action like eliminating the counting of traffic stops as a performance indicator. In emphasizing the amount of staff time that is going into ensuring compliance, Gordon said: “It is going to detract from a lot of other things we have going on in the police department.” But he declined to identify what those things might be when asked by Urban Milwaukee. Who Wants to Design A New City Flag?